Microbes and their impact within Climate Models | Watts Up With That? I think it is a very good idea, and the full report follows this press release. The models used to understand how Earth’s climate works include thousands of different variables from many scientific including atmospherics, oceanography, seismology, geology, physics and chemistry, but few take into consideration the vast effect that microbes have on climate. 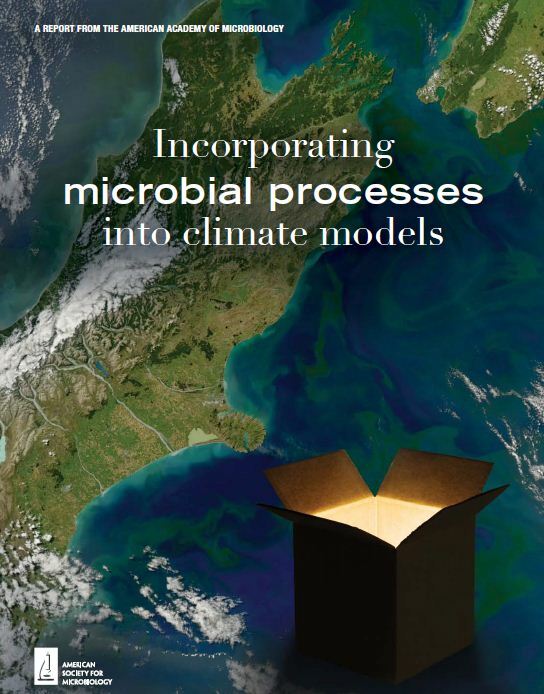 Now, a new report from the American Academy of Microbiology, “Incorporating Microbial Processes into Climate Models”, offers a plan for integrating the latest understanding of the science of microbiology into climate models. “The sum total of microbial activity is enormous, but the net effect of microbes on climate-relevant gases is currently not known,” says Edward DeLong of the Massachusetts Institute of Technology, who co-chaired the report with Caroline Harwood of the University of Washington. The past two decades have witnessed an explosion in scientific recognition of the diversity of the microbial world. New DNA-sequencing technologies spurred by the Human Genome Project have made it technically and economically possible to sequence the collective DNA from whole microbial communities. This approach, called metagenomics, has revealed a previously undreamed-of degree of diversity in the microbial world. These microbial community analyses many “‘omics” approaches, such as proteomics and metabolomics, that together provide a detailed picture of community function, potential and change over time. The report is based on a colloquium convened by the Academy in 2011. Experts in diverse disciplines in microbiology as well as computational and climate modeling participated in the meeting designed to identify specific efforts and activities that will lead to improved integration of microbial biology, biogeochemistry, and climate modeling. “While the gap between these disciplines is daunting, the need to bridge it is urgent and the science and technology needed to begin to do so is within reach,” says Harwood. The report suggests a multipronged approach, breaking the challenge into manageable parts. The first recommendation is to choose a few specific biogeochemical cycles that are important, microbially driven and tractable to serve as demonstration projects. Specifically, the report identifies methane, carbon storage and nitrous oxide. “There is clear evidence that microbes can have an enormous impact on climate.. In light of the increasingly urgent need to understand and find ways to mitigate climate change, the centrality of microbes in global biogeochemical cycles, can no longer be ignored,” says DeLong. A full copy of the report and more detailed recommendations can be found on the Academy website at http://bit.ly/aamclimate. The American Academy of Microbiology is the honorific leadership group of the American Society for Microbiology. The mission of the Academy is to recognize scientific excellence, as well as foster knowledge and understanding in the microbiological sciences. A full list of Academy colloquia reports can be found at http://academy.asm.org/colloquia. For more information about the American Society for Microbiology, visit http://www.asm.org. Maybe it’s good science, and maybe it’s just a ticket on the CAGW gravy train? There are WAY more little guys than big guys, and those little guys do weird stuff. Sometimes those little guys do stuff that we don’t yet fully understand. Like live in heat vents at the bottom of the ocean. The bugs had a big party last summer just south of Bourbon Street and helped out BP with the oil spill. I mean who needs beignets and coffee, when there is all that Light Sweet crude. Factor in the vast amounts of Fungus Amongus…and they have not got around to factoring in all the little bugs and stuff. I want to know what the Carbon Footprint of a prion more than a Prius…but that’s just me. My thought on this one is “another group climbing on the gravy train”. It seems to me that climate modeling is a vast honey-pot and a sink-hole for public funds. Another mouth at the trough isn’t going to change the nature of the trough. How’s that for a gross example of “mixed metaphors”? Take a field full of cows. The worms in the soil weigh at least twice as much as the cows in the field. Then there are the insects. There are about 10,000,000,000,000,000,000 insects on earth. That’s 1.5 billion insects per person. The weight of all the ants in the world exceeds that of all humans. Ditto the termites. Then there are the beetles. All of them are animals digesting, respiring and emitting CO2. Then we come to the bacteria which outweigh every other living thing by orders of magnitude. If you’re a worm or insect or bacteria you don’t know or care about the large animals. WE ARE NOT in charge of this planet. Get over it. At last some sense! Total bacteria biomass is comparable to all other living organisms combined. I kid you not. Bacteria live everywhere!! Some of these bugs are amazing. I’m currently looking at magnetostatic bacteria which use tiny magnet implants to propel themselves with help from the earths magnetic field. These guys live 4km beneath the sea floor in bacteria ‘blooms’ within extremely saline, anoxic, dark, high pressure environments and feed on sulfate to produce sulphide, methane and who knows what. Almost everything lowered into these toxic brine pools (eg Discovery, Urania, Atalante, Bannock….to name a few) pretty much dissolves so sampling is not easy. What we do know is that bacterial contribution to atmospheric gasses is considerable. Anthony, small stutter in the introduction. So more rather pointless grants for research, I guess. Finally. I’ve been saying all along that cows don’t cause global warming; it’s the microbes in cows’ fancy digestive systems. 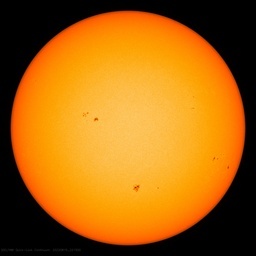 Get rid of the microbes and the globe will cool down like a rejected suitor. Lysol — that’s the solution. John F. Hultquist. You heard the man. Microbial processes might be one path that allows some mitigation strategies to cope with or reduce AGW. Loys of little workers out there. Is it the sun, stupid? It’s Super bug!…uh well…Mini bug then. “We too, recognize an important source of new funding of our research and wish to close this daunting gap as soon as possible”…..? I am curious about the combinatorial explosion that results from adding variables to algorithms, or computer models. For example 10 variables causes about 1,000 possibilities to spend computing time to resolve, but doubling the number to 20 ups the number to 1 million. If you have 1,000 variables and it takes one day of computing then adding 10 more variables requires 3 years of computing. Adding microbial variables to current computer models will essentially require one iteration of CPU technology (typically 18 months to 2 years) just to keep the computing time the same. 10 additional variables will require about 20 years of Moores law iterations just to keep the computing time the same. If you want to have higher resolution grid sizes, it takes one new CPU iteration to reduce the grid size by one half the area. Note that it isn’t complexity that requires super computers to run the models, its the vast number of permutations that need to be calculated that takes a great deal of CPU cycles which only supercomputers can provide in a timely manner, by their large number of parallel processors. Also note, there are different types of algorithms, some are log and not exponential in terms of computing resources required. Climate models are about the last remaining hole in my climate science knowledge. More articles about what they consist of would be nice. I don’t understand how one can introduce microbiology into climate models when we don’t even know the order of magnitude of our ignorance. Improving the climate models? Talk about polishing a coprolite…! “In light of the increasingly urgent need to understand and find ways to mitigate climate change, the centrality of microbes in global biogeochemical cycles, can no longer be ignored,” says DeLong. There’s the money shot. They want a seat on the CAGW gravy train. Mike D. I take it that’s tongue in cheek? Never mind the models, it is just too difficult to model all the processes going on at once. We do not understand it well enough. We don’t even know what we don’t know. The only Earth that works is the one we are on. Useless to model it, and unnecessary, if we would just observe the one we’ve got. Wouldn’t it be a very good idea to fix the basic stuff first, such as the sun, clouds and ocean currents ? This is why I’ve been saying for years that everyone needs to put aside their preconceptions and prejudice and read James Lovelock’s original book. In it, he explains how anti-entropic earth’s atmosphere is due to the life on the planet, and that this is mostly due to micro-organisms which have radically altered atmospheric composition and maintain the chemical-energy imbalance inherent in an oxygen-rich environment which drives the ability of all nearly all terrestrial life-forms to continue to exist and exhibit anti-entropic behaviour. In the light of Nikolov and Zeller’s theory showing that surface temperature is due not to atmospheric composition, but mass, we can re-examine the role of life on Earth has in maintaining that mass, rather then worrying about it’s effects on composition. This will lead to exciting new discoveries once the realization of the implications sinks in. I haz tiny bugs – can I haz gravy train? So we are back to the concept of the “life force” which runs in the opposite direction to entropy. I recall that such a theory was discounted some time ago but I don’t remember what the argument was. I don’t think there’s any need for a “hippie buzzword” which needs to be contained in scare quotes. Lovelock explains it all quite simply with ordinary physics and chemistry. In the beginning God created bacteria. And bacteria created everything else. Ditto to Gary Mount, (11:24 PM). In addition to his comments consider this. For each new variable the programmer must establish a range of values the variable may assume, and the relationship of the variable at each value to all the other variables. If the programmer is honest and competent there will be sensitivity analyses performed on all those values and relationships. A program with a thousand variables or a thousand and ten variables is one massive set of assumptions about how those variables interact. My programming days are years past so maybe it is better now. But I suspect that such complex models are still best suited to playing with sensitivity analyses to learn how the outcome varies as the factors are changed. Thirty years ago I fought with people who believed we were predicting the future with models and who believed that if we could just increase the number of variables and the accuracy of variable values we could predict the future perfectly. It appears that much of the current climate debate is a continuation of that same battle. If any of the above is outdated or the product of aged memory I would be delighted to have Gary Mount or other computer gurus correct me. have a good table on the relevant quantities. Conclusion: Humans will never rule the world. its a power grab by the bacteriologists. first they undermine our concensus on ulcers by throwing H.Pylori at us, now they are trying to undermine our concensus on radiative feedback mechanisms. If you have not parametrized properly the main constants, (CO2 sensitivity, suspension particles, etc) do NOT add any new parameter. This is clearly another wagon added into the gravy train. Prions are just proteins. They do not have metabolism. Despite of what some biologists may say, they are not alive. Besides, CO2 is not polution, it is plants food. It is good to exhale CO2. Carbon footprint is more a political term than a scientific term. I know a prion is just a little bit of protein, but it drives cows ‘crazy’ so the fart a bunch, die, infect all their cow friends and Old McDonald has to release a bunch of carbon moving around dead cows his farm with his diesel tractor…I believe that would how ‘one’ would calculate the Carbon Foot print of a PRION, correct? A BIG problem, as I see it, is the ‘scientists’ are but Pawns in the big game of Chess we are all playing. The ‘Knights and Rooks’ or the politicians and the ‘multinational corporations’ like GE, ADM, BP, etc are using the ‘Pawns’ to manufacture a CRISIS…so they can rescue us and protect us…thus gaining more power and money. I believe that is referred to as TYRANNY…also a political term. How does DeLong propose to mitigate climate change? We have to live with it and adapt as we have before. We’re probably just bus drivers created by microbes. They know (swarm intelligence) that they have to get off this rock before the sun incinerates it a few billion years from now. So they need a reliable way to find and relocate to a more suitable planet that’ll be a good habitat for several billion more years. So they cobble up a tool-using species that can build telescopes to locate suitable new abodes and spaceships to get there. One might wonder how many times they’ve done this already. Doug Cotton, since you pointed to the open thread, I’ve responded there. This is but another example of people holding out their hand at the begging bowl of climate change, these people need a good wedgie and a stern talking too. When it comes to the variables that need to be incorporated into a computer model, perhaps the most influential variable of all is the total number of climate scientists and their associated “Algorythmists”, multiplied by their propensity to write papers and make public pronouncements, who are totally, or largely, financially dependent on the AWG gravy train. The mental processes needed to figure this in are completely beyond me but perhaps Mr. Mount can help. A discovery: it is the first time it is proved that synthetic surfactants (and detergents) give rise to inhibition of the ecological mechanisms that improve water quality in aquatic (freshwater and marine) ecoystems. unquote. The big push into synthetic surfactants was after WWII. I wonder what that did to the albedo? Close but no cigar. You need just enough GHGs to establish a lapse rate and the composition (especially H2O) is relevant in setting the heat capacity which also affects the lapse rate. Once these are set the GHE is determined by the mass, force of gravity and insolation. Increases in CO2 do change the mass and to this degree it has a minimal impact on the GHE. We’re probably just bus drivers created by microbes. They know (swarm intelligence) that they have to get off this rock before the sun incinerates it a few billion years from now. Not only are the phytoplankton photosynthesizing and fixing nitrogen at the surface, they will be cranking out carbonic anhydrase which may have a significant effect on the rate constants for CO2 exchange between the ocean and atmosphere. A lot of people probably don’t realise just how slow the uncatalyzed reaction is. I’m still searching for other science that has given this due consideration. In a “past life” I worked for a major computer manufacturer. While in Hamburg meeting with the people from the German Meteorological Center, I asked one of the scientists what the resolution was for paleoclimate reconstructions – answer 10000 Km^2. I quickly moved on in topic, as he appeared embarrassed to discuss it. Upshot – don’t bother looking at current GCMs. Invent a new one. I’d recommend using some of the ideas that pop up in Willis’ discussions of data. You’ll probably make more progress in a year, than all the others have in 20. BTW: Somebody used to maintain a list of all the things linked to climate change (is it W.S. Briggs), such as increased allergies, more acne, etc. Is somebody maintaining a companion list of all the things not included in the climate models? So we don’t know if it is in fact MGW, instead of AGW? If so we don’t get to label it as ‘catastrophic’, when they may be seeking a more amiable environment for themselves. Another scientific suckling crawls up to the climate sow for a long sweet draw from the public teat. The AGW cabal ignores DMS, and well they might, since it could wipe out the entire ’cause’ of the climategaters. The Idso group should be invited to write some summary articles for this website. What did it do to the carbon cycle? A good bit of the plastic junk in the ocean gyres is detergent bottles. What does all that surfactant in the ocean do? Does it help or hinder CO2 exchange? Bacteria eventually break it down, but to what? Until we understand these things (and more), models are useless exercises. Under warmer conditions, with increased CO2 (and humidity) I expect bacteria and algae to increase exponentially, sequestering ever-increasing amounts of carbon at the bottom of lakes and oceans. Of course that’s just wishful thinking, not science, until I can put numbers on it. But in a related point, fossil fuel from dead dinosaurs sounds nowhere near as plausible to me as fossil fuel from ancient bacteria. Why don’t they try getting water vapor into those models first. And is that Pandora’s box they have open in the picture? I thought the grains bred us as their servants. Microbiologists running out of funding. Solution: link with global warming and climate modelling. Silly but effective. As I have stated many times, the level of CO2 in the atmosphere is directly related to the rate of eukaryote metabolism, which is directly related to temperature. I agree that this is worth looking into. I personally think that the spike in temperatures two summers ago was largely associated with and possibly directly caused by the enormous release of methane in the Gulf Oil Disaster. I think that the warming was probably “local”, but over a significant patch of surface area within a few thousand miles of the Gulf in the variable directions of the prevailing winds. However, prevailing wisdom was that most of the methane was forced into the ocean (more or less dissolved) and almost immediately eaten by bacteria because they didn’t find as much methane in the air immediately above the water as they expected when they looked for it. I’m not convinced by the vigor of their “looking” — a lot of methane could have been released over a very large surface area of ocean after a substantial lag, over time, and still been only “trace amounts” over any given patch of surface at any given time — but I don’t really know if bacteria are capable of eating the methane that aggressively exist in sufficient quantities in the ocean to do the job. Given the amount of uneaten methane in the world, and the fact that methane exists in the first place because it is NOT easily metabolized and is given off as waste by many organic-compound-chomping organisms that haven’t evolved the ability to use it as part of their diet, I’m a bit skeptical, but am as curious as the next person to have better knowledge here. One would think that one could visit the parts of the ocean where there are unstable hydrate clathrates giving off methane that is presumably making it to the surface and at the very least figure out why they fail to eat this “potentially catastrophic” methane in one place but supposedly ate all of the “equally potentially catastrophic” methane in another place that was being released in quantities orders of magnitude greater. There is ample opportunity for confirmation bias at work here. If there was a huge bolus of methane from the GOD, and it had a measurable impact on global temperatures (as it well might, as the atmosphere is not optically saturated in methane where it is saturated in CO_2, so one expects linear, not log linear gain), then the warming then proves that the GHE exists (not an issue for most skeptics, but anathema to a certain class that can’t seem to understand TOA IR spectra) and is very sensitive to gain in unsaturated gases. Good for the catastrophic warmists. It also shows that it is saturated in CO_2 and hence insensitive to further increases. Bad for the warmists. It shows that the climate is absolutely not as sensitive as the catastrophic warmists have been asserting — a huge bolus of new GHG in a channel with linear response produced a linear — not nonlinearly amplified “catastrophic” — increase in mean surface temperature, one that is quite localized (and mixed in with El Nino so it is still only a small part of the average for that year) that quickly enough went away so that literally no trace of the GHE amplification is left a year or two later. Improved understanding of biological production and consumption of methane, especially in the high pressure cold environment at the bottom of the ocean, might be very valuable indeed. And, of course, we know that there is much more that affects the world than mere thousands of factors. The “thousands” was mentioned to make the models sound impressive, while it is apparent that there are significant omissions and other problems with climate models. I see that that the report’s cover page shows South Island, New Zealand. WUWT? Is it to be insinuated that those of us that reside there are microbial? This is information that was known decades ago, but ignored by physicists who decided that all the significant factors could be modeled on their computers. They told their bosses that they didn’t need the biologists. Just give them more computers and they could account for everything in their computer models. I suggest reading the Freeman Dyson Interview. a microscobial effect on the on the climate….the combined effect is what counts…. Maybe the microbes contain Trenberth’s missing heat? Let’s hear it for the methanotrophs! And eat more beef. Thanks, Anthony, it’s about time this topic was discussed! The factors that influence climate go far beyond the simple carbon dioxide calculations by Arrhenius that Holdren et. al. cling to so tightly! I once saw the amazing J.W. “Bill” Costerton give a lecture at Northwestern University about sub-surface microbacteria, a little-studied group of organisms that dwell as far as miles underground in the pores and cracks of the earth’s surface. I recall he said that the total mass of these life-forms far outweighed the entire mass of the surface biosphere! What we pitiable humans don’t know…..
Bill is a remarkable guy, if you want to read one of his best, seek out his article “How Bacteria Stick” published in Scientific American, 1978. Read “The Deep Hot Biosphere” by Thomas Gold. It will challenge all of your orthodoxies. How about they incorporate the 50+ missing important natural factors before they worry about microbes? Let’s include the Sun, the clouds, the oceans, etc, first! Then worry about the biomass of microbes living two miles down in the rock and how they might affect CO2 and GHG levels. Yikes! THe microbes from the rock are estimated to equal a layer of slime 8 feet deep over the entire surface of the planet—now that’s biomass! The joke about it is that humans are the microbes’ creation to be able to move around. If anyone here has been watching Iain Stewart’s How to Grow a Planet, it’s been wonderful to watch something, so far, one more episode to go, that hasn’t twisted this to carbon dioxide demonisation because his story wouldn’t exist without carbon dioxide! But the second episode really brought home that it’s the flowers driving the evolution of animals. Given the amount of uneaten methane in the world, and the fact that methane exists in the first place because it is NOT easily metabolized and is given off as waste by many organic-compound-chomping organisms that haven’t evolved the ability to use it as part of their diet, I’m a bit skeptical, but am as curious as the next person to have better knowledge here. I heard on the radio some 8-10 years back that a new species of phytoplankton had been discovered that exists in huge quantities, and they gave what they described as a conservative estimate that it potentially was taking in some 60% of the carbon cycle. Just another group of folks who need cash. Today, changes due to human activity are causing similar large scale global effects in as little as 100 years. There is clear evidence that microbes can have an enormous impact on climate but their responses and impacts cannot currently be measured. In light of ongoing global change and the centrality of microbes in global biogeochemical cycles, their specific responses and activities in the context of climate change modeling can no longer be ignored.